Material Upgrade: we use EPDM instead of SBR to be cover of oxygen,acetylene,propane,air,water,argon hose. One of our client who comes from Europe vist our factory today. Essen Fair is one of the top two welding fair in the world. We have sucessfully delivered an production order to America in November, 2016. We Are Attending FABTECH Fair During Nov.16-18th In LAS VEGAS,USA. 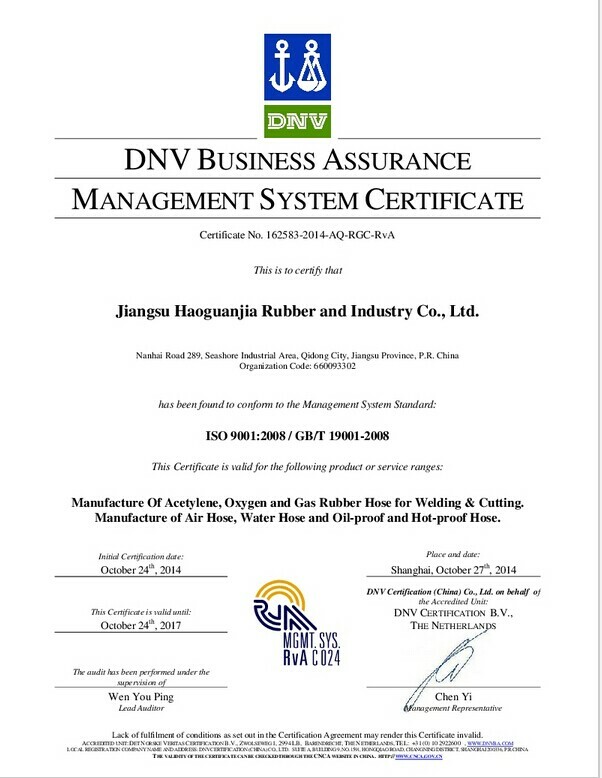 Address: No.289,Nanhai Road, Binhai Industry Area, Qidong city, China. 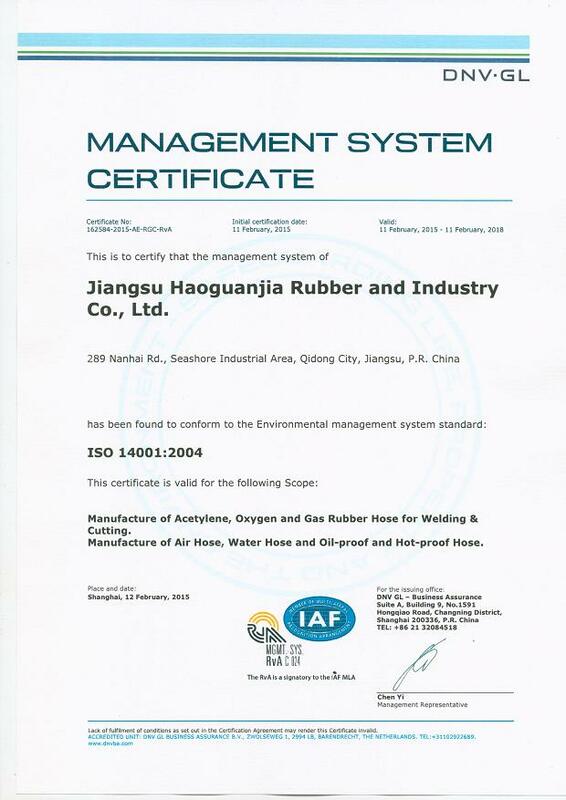 Copyright © 2016 Jiangsu haoguanjia Rubber Industry Co., Ltd. All rights reserved.